By Chuck Yanikoski, Founder and President of StillRiver Retirement Planning Software, Inc.
Chuck Yanikoski has contributed this and other articles to Retirement Insight and Trends. You can view a YouTube brief of one of Chuck’s presentations here. 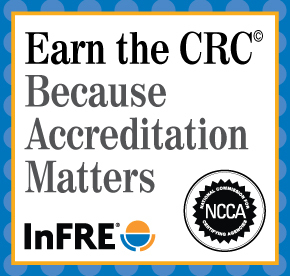 You may also choose to take the full length course of one of his presentations to earn 1 CRC®, CFP®, and/or PACE CE credit. There is widespread agreement that annuities are often the best way to assure guaranteed lifetime income, but that they are not being used nearly as often as they profitably could be. When asked in the abstract, most consumers favor the idea of guaranteed lifetime income, as opposed to having to manage their own assets for an indefinite span of years.2 But when presented a choice in real life, involving their own assets, people often balk at making the commitment. Oregon Public Employees Retirement System. This plan also offers a lump sum as an alternative to a life annuity. According to an analysis by John Chalmers and Jonathan Reuter, the annuity is more than actuarially fair, and 85% of retiring members choose it.6 However, results in these circumstances appear to be enhanced because of concerns over taxes that would be payable on a lump sum distribution. Theories abound that attempt to explain resistance to annuitization. Some have been around a long time, some are unique to current circumstances, and some are novel and intriguing. They fall into three categories: product, psychology, and presentation. Low Interest rates. While important, current low rates don’t explain why annuities have always been a tough sale. But rates clearly have been a major factor in the last few years, and perhaps their baleful impact has been disguising real progress being made elsewhere. High fees and expenses. This objection mostly applies to variable annuities. Consumers rarely have any clue about expenses and profit margins built into fixed annuities. Adverse selection vs. underwriting. Males sometimes perceive that choosing annuities is against their interest, particularly in plans where unisex annuity rates are used. Likewise for those with known health concerns, if no underwriting is offered. Even annuities that do involve underwriting may not pay additional benefits sufficient to offset the reduced survival expectations of people with medical conditions. Fear of “losing the bet” by dying soon after a purchase. This has always been one of the two most common objections to annuities. Reasoned responses to it (e.g., “if that does happen, it won’t matter to you then”) often don’t work, however, because the fear is not necessarily about the annuitant’s own financial wellbeing. It can also be about the welfare of one’s heirs (“my children would lose out”), or it could be even more about the fear of making a mistake (“my children will think I was an old fool” or “they’ll never forgive me”). Loss of control over one’s assets. This is the other historically common objection. Again, though, it is not necessarily about the assets – it is often about the “control.” People of an age to consider annuitization are acutely aware that growing old involves an increasing loss of dominion not only over their own bodies and minds, but over their lives. Retirement heightens this concern, because the end of a career means less control over one’s financial future, too. The idea of handing over a big chunk of assets for an annuity taps into these fears. Misunderstanding life expectancy. Many people underestimate their life expectancy, especially their joint life expectancy with a spouse. But even those who guess right about it rarely grasp the probability of their living long beyond that age, or the financial implications if they do. Underweighing the value of future benefits. It is now a commonplace of behavioral finance studies that most people have little instinct for accurately discounting future income to its present value. Therefore they rely on intuitions and instincts, such as the natural preference for immediate over delayed gratification, to judge tradeoffs. This results in undervaluing future income streams, compared to a lump sum today. Overestimating one’s own ability to manage financial assets. This tendency rises and falls with the economy. Pretty much by definition, people become optimistic and confident during boom cycles, but pessimistic and cautious during bust cycles. Unfortunately, bust cycles tend to correlate with low interest rate cycles, so that during times when people might otherwise be more disposed to consider an annuity because they have lost confidence in the financial markets (or in their own investment savvy), they can’t get a good rate on an annuity, either. Loss aversion. Studies in behavioral finance, as well as in other areas of human activity, consistently show that most people are more motivated by fear of loss than by opportunity for gain, even if these are mathematically equal. So even if an annuity is a square deal, the fear of losing out by dying sooner than average carries more weight than the hope of coming out ahead by living longer than average. The beat-down from the financial industry. The securities industry, and fee-based financial advisers and financial journalists generally, have criticized annuities for decades. In a recent column in Kiplinger’s Personal Finance, Robert Frick acknowledges this: “We’ve been critical of certain kinds of deferred annuities, and certain annuity providers, for fees and expenses that are clearly rip-offs. So we take responsibility for promoting a justifiable wariness.”7But for a long time, it wasn’t just certain products or providers. The securities industry has had competitive reasons to oppose fixed annuities, while planners paid via asset management fees have long had mostly negative financial incentives when appraising annuities. “Informed” consumers have been hearing for many years, therefore, that annuities are a bad deal. Only recently has this tide been turning, and it may be no small task to repair all the damage. Lack of Advice, Lack of Understanding. Whether advice is in person or automated, advice matters. Most financial software still does not deal with longevity risks, and if it does, it does not recommend annuities as a solution. Such was the conclusion of John A. Turner, who compared 25 different online programs in a study published by the Pension Research Council in 2010.8 When it comes to human advisors, a TIAA-CREF study (also in 2010) found that recent retirees who annuitized were four times as likely to have had an advisor recommend such a purchase than those who did not choose an annuity.9 These specific findings cohere with more general studies that show that annuity purchases correlate with higher levels of financial literacy, or of education in general.10 Lack of detailed knowledge is particularly acute regarding federal tax rules on annuity income, lump sum distributions, and the like. Lack of financial context. Although an annuity is, essentially, just life insurance in reverse, life insurance is more intuitive: you pay a modest amount periodically, and your beloved beneficiary gets a relatively huge pot of money if you die. It’s easy for average consumers to image how that pay-off will make a difference and is therefore probably worth the price. But with annuities, the value of the benefit is not so clear. Sure it would be nice to have $X of income for life, but is $X really going to be enough to make a big difference? Big enough to be worth the upfront outlay? Enough to make up for what I would have if I didn’t make this purchase? With prospective purchasers lacking the ability to determine whether an annuity is a smart choice even if they do live a long time, they struggle with the decision. Useful solutions are just as prevalent as theories about causes. They fall into two categories: product design, and presentation method. Traditional product alternatives: Joint annuities, and Certain & Continuous annuities. Covering two individuals, or guaranteeing a certain minimum number of payments, usually answers the objection about dying shortly after annuitizing. But it lowers the monthly benefit, which then makes annuitization less compelling. Traditionally, these options have not been enough to put sizzle into annuities, though they clearly help close the sale in many cases. 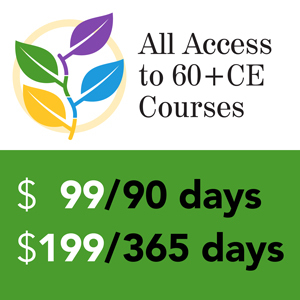 Long-term care riders, and guaranteed withdrawal benefits. Providing access to cash values helps overcome the objection about loss of control of funds. But again, these options can significantly reduce monthly benefits. Guaranteed withdrawal benefits have become fairly popular recently, but there is increasing blowback from marketing and sales people that the cost is too high.11 Again, they appear to be a useful option to have available, because sometimes they are needed to close the deal, but as a general solution, they are limited in value. Delayed benefits. Annuities that purchase a benefit to be paid only in old age – say, starting at age 85 – enable clients to remove longevity risk from their list of concerns at a much smaller up-front cost than starting annuitization at a younger age. By lowering the cost, this strategy reduces the impact of all the other problems with annuities. But it also reduces the benefit to the sellers of annuities, and to the client as well – because income prior to age 85, in this example, is not being guaranteed, and is actually impaired by loss of the funds used to buy the annuity. From one point of view, this can be seen as a strategy of surrender: “Well, we don’t think we can sell you much in the way of an annuity anyway, so we’ll offer just a bit of one to cover the most egregious need.” But even so, half a loaf is indeed better than none, so these products can be useful at least as a Plan B. Multiple purchases, spread out over time. This strategy has also gained ground in recent years. We’d like to take a bit of credit for this, since we published what we believe is the first analysis of why it’s a good strategy12, but perhaps also it as just an idea whose time had come. Instead of annuitizing all at once, purchases are spread out over three or four installments, each of them a few years apart. This minimizes the initial fear of dying too soon after the purchase and the fear of loss of control, because only a relatively small purchase is made. So the initial sale is much easier to swallow. The subsequent sales are even easier, because the annuitant gets positive reinforcement every month when a check arrives, has “learned” from the initial experience that fear of dying too soon and loss of control are not so big a deal after all, and will be further motivated by receiving a higher rate on later purchases because of a higher age. Including income annuities in retirement income models. This idea goes back at least to 1999, but it has become available only in recent years. Some models rely on the idea that annuities should be used to fill future gaps in guaranteed income to cover “necessary” expenses. Other models allocate fixed and/or variable annuities as part of a Monte Carlo analysis of asset allocation.The benefit of such models is that they provide a seemingly authoritative justification for purchasing annuities. The focus on “necessary expenses” has the added merit of being intuitively understandable and plausibly valid.These benefits are somewhat undercut, in the case of the Monte Carlo models, by the opacity of that technique – since people don’t really understand where the recommendation is coming from, it’s much less persuasive than one would like. In the case of using annuities to cover “necessary” expenses, clients still are likely to think seriously before laying out a large lump of cash, and when they do, they will realize that their “necessary” expenses are necessary only in their nature, not in their amount. Most of us could spend far less on food, clothing, and shelter than we do, and still survive comfortably enough. When this realization sets in, the impact of the analysis starts to crumble. · Emphasizing risk pooling instead of the “bet against the insurance company.” As others have noted, people would feel better about the risk of dying sooner and not receiving full value from their annuity if they were clearer that the “profit” from that circumstance isn’t a windfall for the insurer, but mostly pays for the benefits of those who live longer – hopefully, them! Emphasizing long-term medical risks. Svetlana Pashchenko’s 2010 study for the Federal Reserve Bank of Chicago found that “uncertain medical expenses increase demand for annuities.”13 Since, as noted earlier, fear of loss is a powerful motivator, the specific fear of being unable to take care of oneself or to pay for the medical care one is likely to need can be used as a vivid and compelling reason to lock in a guarantee of lifetime income. Using loss aversion as a positive sales tool. 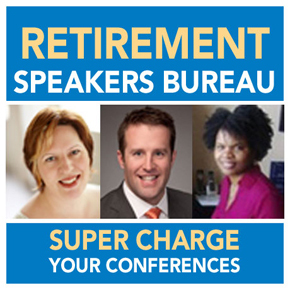 An experiment conducted by researchers affiliated with William & Mary’s Mason School of Business found that “negative framing” can affect people’s feelings about annuities.14 Presentations can focus not only on the fear of running out of income in old age, but also on the fear of not annuitizing and then losing a significant portion of one’s principal and/or short-term income due to adverse investment experience. Illustrations of the impact on future household finances. In an effort once again to launch a new trend, we at Still River / RetirementWORKS have been pioneering the use of detailed illustrations of family finances to illustrate how an annuity would help (or not) under various future scenarios.15 This makes the benefits much more concrete for prospective clients. It also focuses them on the long-term rather than the short-term, and helps them see an annuity purchase less as a giveaway of funds and more as an investment in their future, because they can see the beneficial impact on their future assets and long term solvency, not just their income. With so many useful options, and so many apparent underlying causes for the annuity problem, clearly an array of solutions is called for. No single idea by itself is likely to make enough difference. Annuity marketers should be looking at the whole picture, determining whether product revisions are appropriate to their company and their market, but also looking at a complete overhaul of how annuities are presented to potential buyers. 1 I also want to call your attention to a 2011 paper for the Society of Actuaries, by Garth Bernard, The Utility of Illiquidity, from which I have borrowed a few ideas. 2 See, for example, Annuities and Other Lifetime Income Products: Their Current and Future Role in Retirement Security, an AARP Public Policy Institute Fact Sheet from May 2010, presenting the results of a survey they sponsored. Also, Paul Yakoboski, Annuitization: What Individuals Say, What Individuals Do, a March 2005 Policy Brief from the TIAA-CREF Institute. 3 Svetlana Pashchenko, Accounting for Non-Annuitization, Federal Reserve Board of Chicago working paper #2010-3 (March 2010), pp 5-6. 4 Paul J. Yakoboski, “Retirees, Annuities, and Defined Contribution Plans,” TIAA-CREF Trends and Issues, April 2010. 5 Colleen E. Medill, Participant Perceptions and Decision-Making Concerning Retirement Benefits, Boston College Center for Retirement Research working paper WP2008-9 (February 2008). 6 How Do Retirees Value Life Annuities? Evidence from Public Employees, National Bureau of Economic Research working paper #15608 (November 2009). 7 “Angst over Annuities,” Kiplinger’s Personal Finance, March 2012, p.15. For a typical example of (benign?) neglect of annuitization, see an otherwise helpful 2003 piece from MFS Heritage Planning, Weighing Your 401(k) Options at Retirement, which does not even mention annuities. You can still find it at http://www.memberbenefits.com/floridabar/forms/HeritagePlanning/RETweighing401koptions.pdf. 9 For a link to this study, see page 2. 10 This includes studies at the international level. See, for example, a report by Giuseppe Cappelletti, Giovanni Guazzarotti, and Pietro Tommasino, from the Bank of Italy, What Determines Annuity Demand at Retirement? (April 2011). Go to http://papers.ssrn.com/sol3/papers.cfm?abstract_id=1849826## for more information about this study. 11 David M. Blanchett, for instance, examines the cost of a GMWB rider, which he calculates exceeds the probable benefit – though he accepts that it can still be a viable choice for people with long life expectancies, in covering an actual -risk. See “The Expected Value of a Guaranteed Minimum Withdrawal Benefit (GMWB) Annuity Rider,” The Journal of Financial Planning, Vol. 24, No. 7 (July 2011). 12 “Retirement Income Planning, Part 5: The Right Time to Annuitize,” November 2004. A condensed version appeared a month earlier in The National Underwriter. The longer version is still available at our website, at http://www.stillriverretire.com/Downloads/Retirement_Income_Planning_5.pdf. 13 See p. 2 for a link Pashchenko’s paper; the quotation above appears on her page 31. Also see Kim Peijnenburg, Theo Nijman, and Bas J.M. Werker, Health Cost Risk and Optimal Retirement Provision: A Simple Rule for Annuity Demand, Pension Research Council working paper #2010-08 (2010). 14 Julie R. Agnew, Lisa R. Anderson, Jeffrey R. Gerlach, and Lisa R. Szykman, The Annuity Puzzle and Negative Framing, Boston College Center for Retirement Research working paper #8-10 (July 2008). 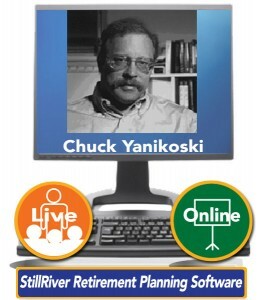 Chuck Yanikoski, Founder and President of StillRiver Retirement Planning Software, Inc. and its consumer subsidiary, RetirementWORKS, Inc.
Chuck Yanikoski is the founder and president of Still River Retirement Planning Software, Inc. and its consumer subsidiary Retirement Works, Inc. He has been in the financial field and the financial software industry since 1976. He is also the principal founder of the Association for Integrative Financial and Life Planning and the co-president of the New England chapter of Life Planning Network. Chuck started his career at the home office of the New England Mutual Life Insurance Company where he worked in policyholders’ services, corporate planning, investment financial marketing areas from 1976 to 1994. He then became a systems developer for American Financial Systems from 1994 to 1999, and at the end of 1999 he founded Still River. Chuck attended Harvard College and the University of Chicago Divinity School and still retains an interest in research, scholarship and writing. His financial articles have appeared in Market Watch’s Retirement Weekly, the National Underwriter Income Planning E-Newsletter, Annuity Association News, Aging Well, and other publications.